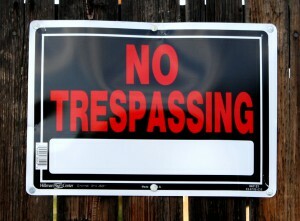 Can a No Trespassing Sign Keep Police Away? 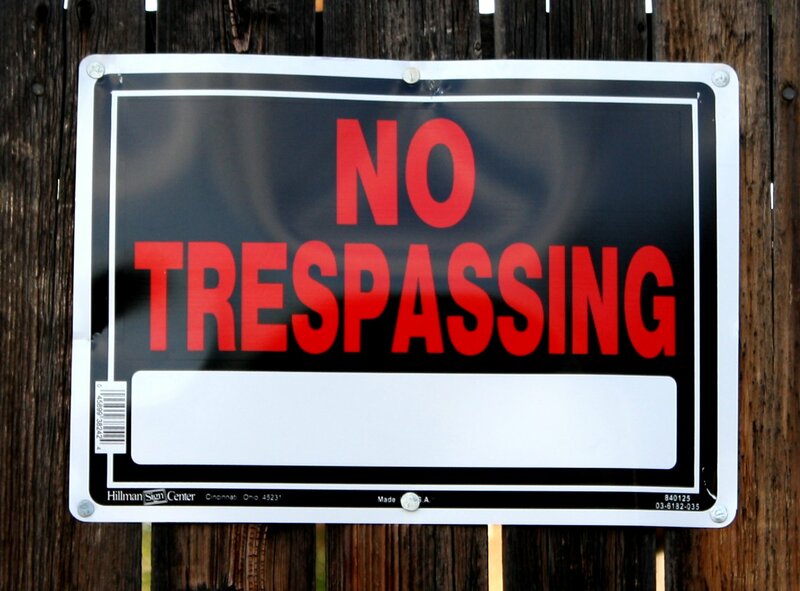 Can No Trespassing Signs Prevent the Police from Entering Your Property for a Search and Seizure? There are many misconceptions about a person’s right to be free of unreasonable search and seizures, especially when it concerns searches of private residences. One common mistaken belief is that no-trespassing signs will keep the police off private property if they don’t have a warrant. Similarly, it is also a common belief that even if the police have a warrant, they must knock before entering a home or even announce themselves as the police. Surprisingly, none of these actions by the police are covered under the protections of the 4th amendment. So What Does the 4th Amendment Protect Against? However, over the last century, it has been the job of state and federal courts to interpret these words and create exceptions. As the challenges to searches make their way through the courts, such as the police entering property despite the presence of no-trespassing signs, the courts consistently rule against the suspect. Below is more explanation to this complicated area of law. What Can Keep the Police from Searching My Property? The law states that there is an intrinsic right of people to enjoy an “expectation of privacy.” This means that, generally speaking, the police are not permitted to enter one’s home without a warrant. If they have a proper warrant there is very little one can do to challenge a search. Open Fields Doctrine – any open or undeveloped property that is not intimately used for dwelling (including curtilage.) An example would be the suspicion that the suspect is growing marijuana in a wooded area. They can enter the area without a warrant. Consent – when the owner or person in possession of the property voluntarily gives their consent. The police do not need to inform the owner of this right. Also, recently the Supreme Court ruled that if a person is arrested and refuses to give their consent, they can ignore that consent and search if the remaining occupant gives consent. Exigent Circumstances – immediate action is necessary. The time it will take to obtain a warrant could lead to the evidence will be destroyed, death or escape. Plain View – the police can seize any item they have probable cause to believe is associated with criminal activity that he sees in plain view. This item can be seized even if it is not named in the warrant and will likely be added to the suspect’s charges. If your home has been searched and you feel that your expectation of privacy has been violated, you should immediately contact an experienced criminal law attorney. Even if the police try to use one of the exceptions to the requirement of valid warrant, an attorney will help ensure that you put forth the best defense possible. they ill assist, so here it happens.